While it's known today as one of the foremost commercial and residential districts in Indianapolis, Fountain Square began it's life as a 264 acre farm! 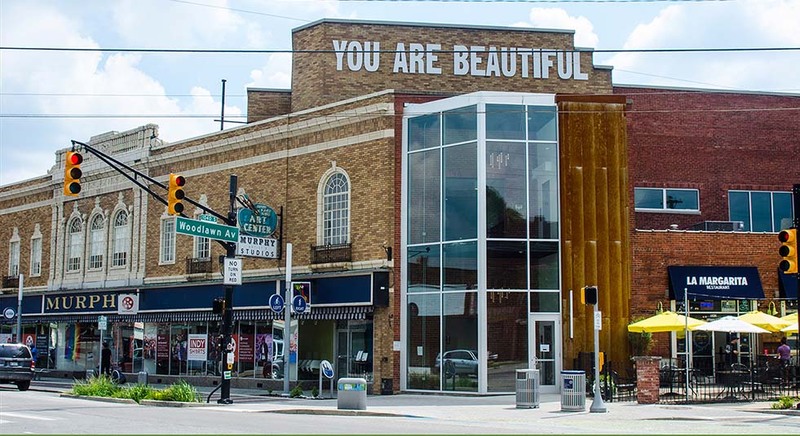 It was owned by Calvin Fletcher, whose name is commemorated by the nearby avenue, and over 150 years, it would become a center of commerce for the South side of Indianapolis. The large and elegant brick buildings are still covered with the old signs of businesses from the early decades of the 20th century which once occupied them. 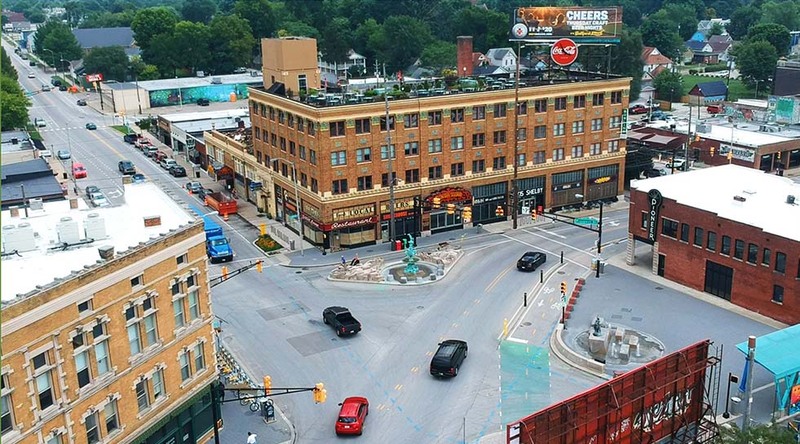 Now they are some of the most valuable commercial real estate in the city, housing everything from restaurants and bars to arcades, a bowling alley, art collectives, vintage stores, and residential lofts. 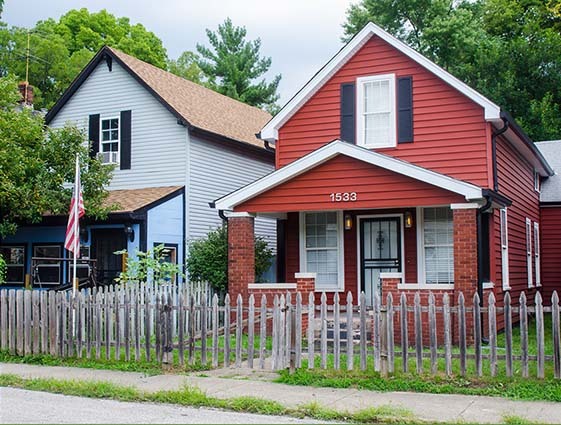 Major redevelopment of the surrounding residential streets of Fountain Square has resulted in many of the old Victorian-era homes being completely renovated, offering fully updated interiors with a clean modern feel while retaining the historical character of the structures. Others are untouched, in varying conditions, sometimes only requiring minor cosmetic and mechanical upgrades, sometimes needing a bit more. New Construction can also be found in the area and some, like this one, are built in a modernist style while others conform more closely to the existing architecture. 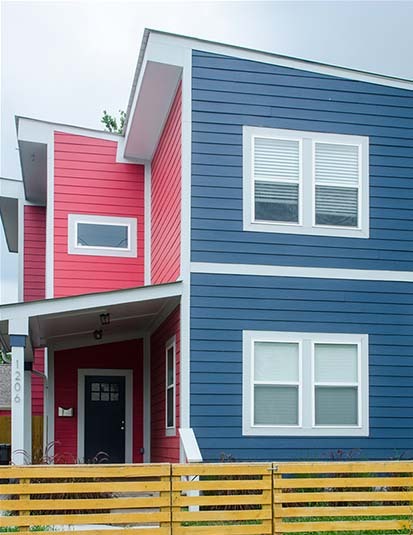 Investors, as well as home buyers, have been increasingly interested in Fountain Square, purchasing single and multi-unit homes as rental properties. With so many attractions within walking distance, there is no shortage of tenants available. The average sale price of a home in Fountain Square is $196,924. The highest, as of 2018, was $525,000. Fountain Square is very much a musical place. Freestyle rap is only one of the genres you might hear at Square Cat Vinyl's monthly open mic night. The Fountain Square Music Festival brings international, national and local acts together for a weekend of music, art, food and beer. Restaurants in the area offer nearly every variety of cuisine imaginable. Pioneer serves traditional European comfort food with an upscale twist. La Margarita, a Mexican cantina with an outdoor patio and killer margaritas and Bluebeard a 'new American' joint with craft cocktails and an ever changing seasonal menu. The newly opened Inferno Room serves up exotic drinks and a menu of small plates developed by chef Carlos Salazar of Rook (another restaurant in the area).